Product code: 682 Categories: Sold Items, Sold Omega Watches. 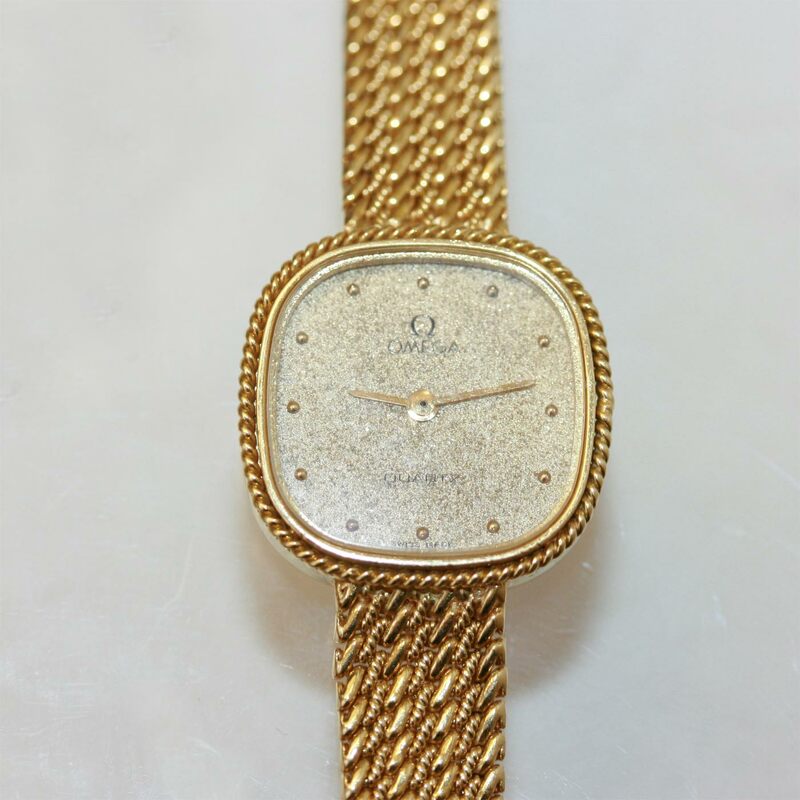 This is a stunning and very elegant ladies Omega wrist watch in solid 18ct yellow gold. Made in the 1980’s it is fited with a fully jewelled Omega quartz movement that has the time set via a small and discreet pusher where the crown traditionally is, making it very slim line on the side. The slightly squared case looks wonderful and the intergrated 18ct golf Omega band is in perfect condition. 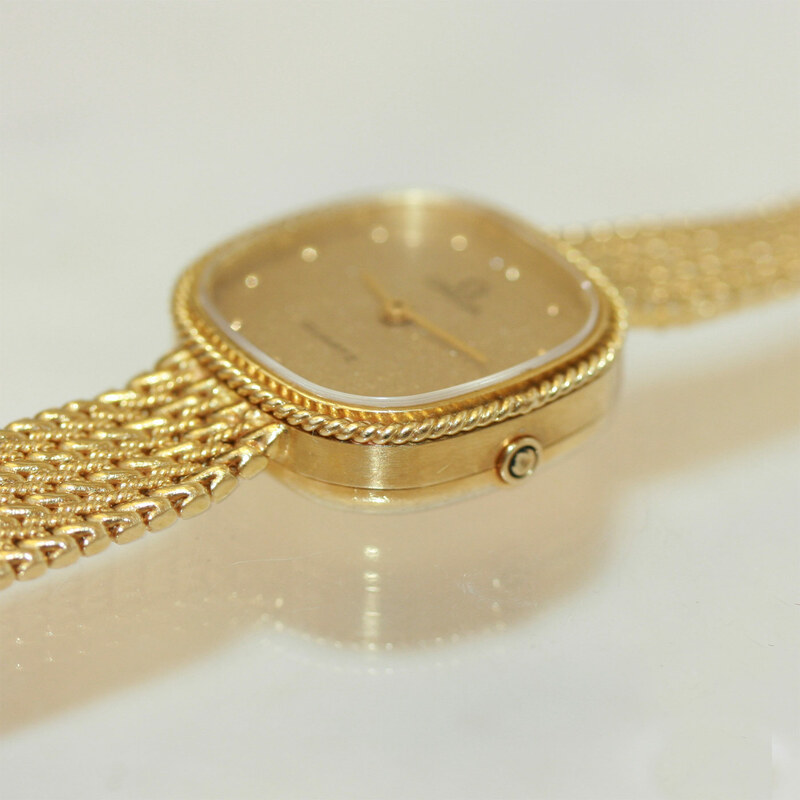 This is a great model for someone who is after a very elegant and stylish Omega watch in 18ct gold.